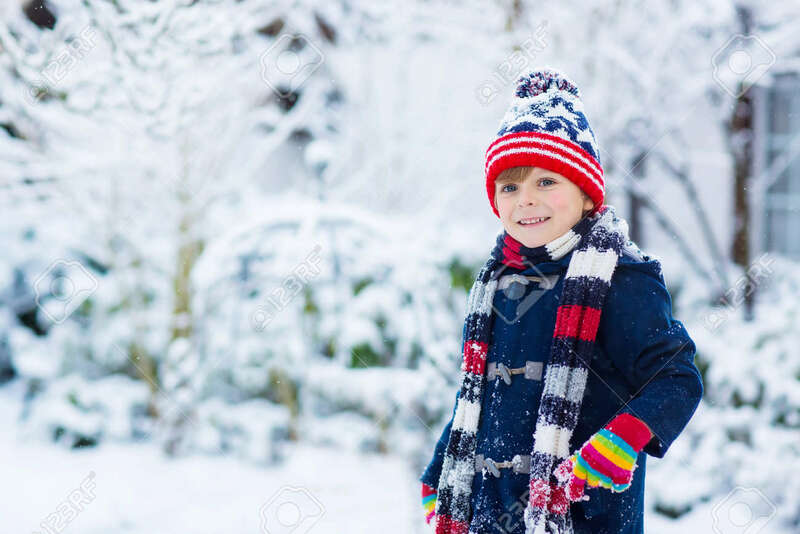 Winter Portrait Of Kid Boy In Colorful Clothes, Outdoors During Snowfall. Active Outoors Leisure With Children In Winter On Cold Snowy Days. Happy Child Having Fun With Snow Royalty Free Fotografie A Reklamní Fotografie. Image 48306239.